This year's Small Works Exhibit is STILL ON SCHEDULE and is NOT cancelled. We will be letting you know the status of your entries as planned around October 9th. The Key West community is strong and we are working diligently to rebuild our island after Hurricane Irma to get it back up and running asap. Almost every building on the island of Key West weathered the storm in great condition including our host gallery, The Studios of Key West. Together with TSKW, we are excited to present a beautiful exhibit on November 2nd. Thank you all for reaching out and touching base with us. We appreciate all of the support. Jim Hogan / 2017 / oil on canvas / 20 x 18 inches. This painting was started in Hermosa, Costa Rica and was recently finished in La Jolla, California. It marks the 20th painting finished in the Faces of Surfing Series. 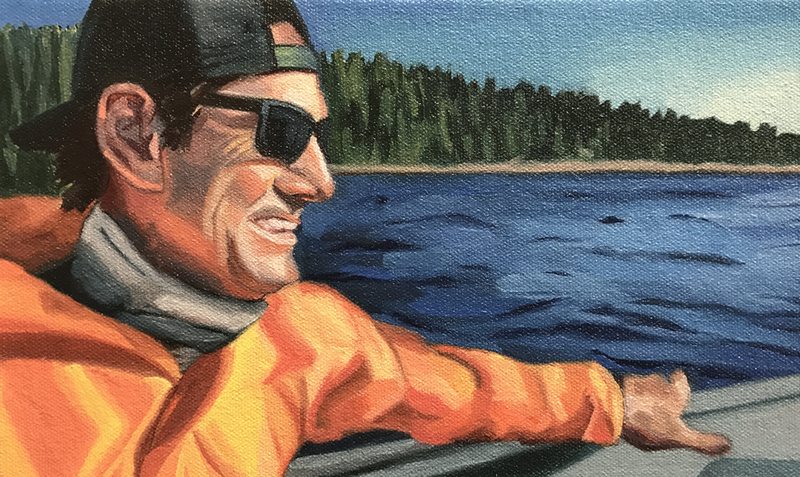 I am pleased to announce that I have finished another painting for my Faces of Surfing Series of Bruce Irons. 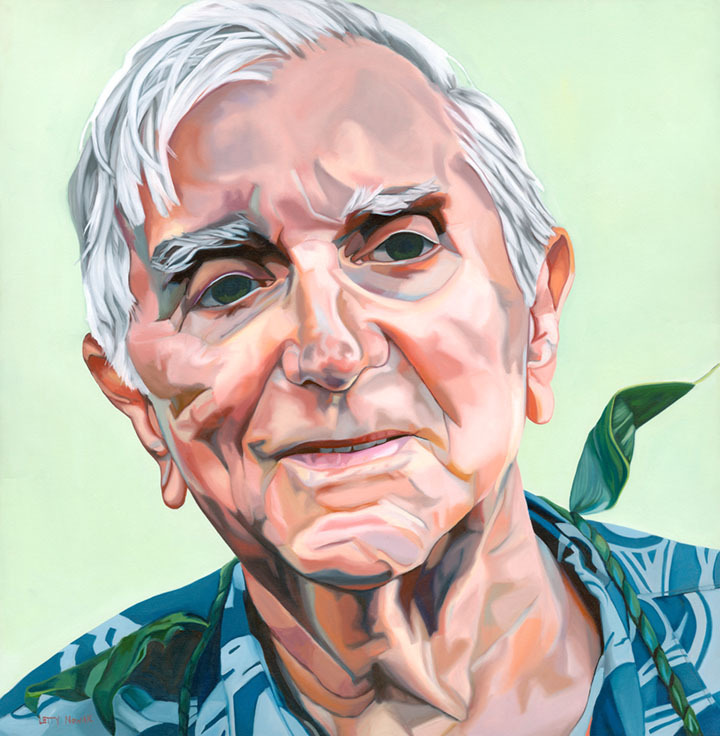 I traveled to Kauai to photograph him at his home for the painting. After that trip, I met Barbara Golden of Golden Paints and Williamsburg Oils. She invited me to see their campus and factory in New Berlin, New York. I graciously accepted this offer and did visit them in October of 2016. She also sent to my studio a full color palette of Williamsburg Oils for me to try. I dedicated the painting of Bruce to do just this - make it with the new palette of only Williamsburg colors. This was totally different for me because over the past 20 years I chose my palette based on my experience with two different brands of oils. I learned which of the colors in each brand worked best for what I was doing. Each of my paintings have been made with a mix of the two. What I learned most from this new experience with Williamsburg Oils is the strength of their colors. When I would make a stroke with my brush loaded with paint, the color was on - and it was strong. Most of the time the paint would even cover over a wet layer below without mixing the two layers. I found this to be intriguing because sometimes I wanted the colors to mix wet on wet. It also made me rethink (after all of those years) my palette to canvas process which I have done without thinking for so long. This said a lot to me about the quality of Williamsburg Oils pigments. When adding cool darks to such as Phthalo Blue or Egyptian Violet to lighter colors like Naples Yellow (for example), I needed much less than I was used to using to get the change in tone I was going for. 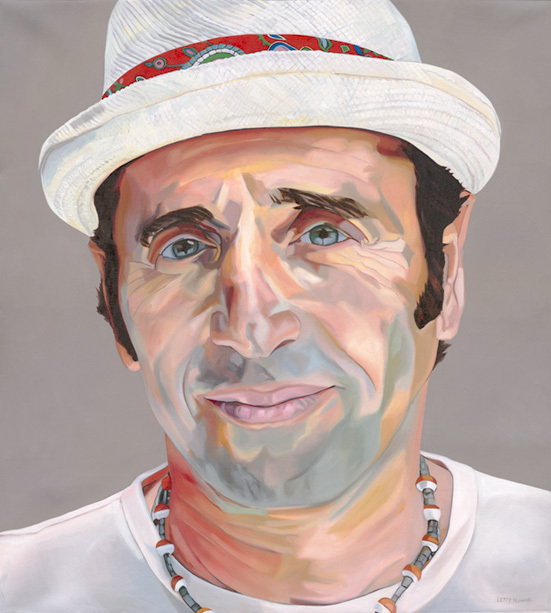 I feel because of this, Williamsburg Oils really did lend themselves to this painting and helped to capture the richness of the Kauai light on Bruce. I am excited to keep working and exploring with Williamsburg Oils for my next works. I am grateful to Golden Paints for getting me out of my comfort zone and introducing me to these incredible colors. Williamsburg Oils paints now have a permanent place in my studio. I have had a few questions about how to tell if a painting is available for sale on this site. If it does not say, "Private Collection" at the end of it's description it is available. Email caroline@lettynowak.com for pricing and/or more info on the piece. 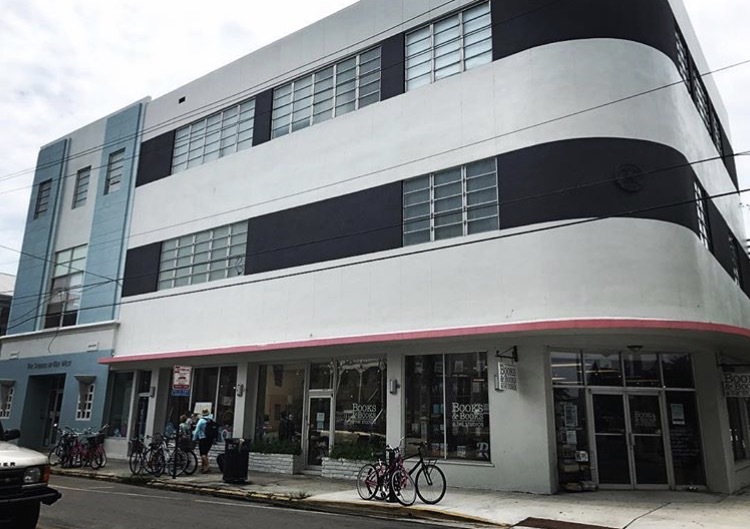 “Our lease has come to an end and we are grateful that a four month pop-up space, amazingly turned into four great years with the support of the Key West community.” says gallery owner and artist Letty Nowak. The final exhibit in the current 318 Petronia space will be curated by New York gallery owner and art dealer, Hal Bromm. Nowak and Bromm will be bringing back Nowak's signature, "Black Envelope" exhibit. In total, the Lemonade Stand has been in business for eleven years. It first opened its doors in Bahama Village at 227 Petronia Street in 2001 and then closed in 2007. In 2012, Nowak did find another space for her gallery. Again, it was in her favorite neighborhood, Bahama Village. "My stepfather and I went in there with four gallons of white paint, and made it a gallery. It was beautiful and a dream come true to have it back," Nowak adds. "I flew in all of my new paintings I had been making in California and we were back in business." Nowak brought back her very popular Juried Small Works Exhibit, gave solo exhibits to artists, Deborah Yates, Sharon McGauley, Erin Stover-Sickmen, Leah Peeks, Alaina Plowdrey, Juan Ego, Paul Findlay, Johnny White, Vincent Pomilio, and Sarah Boyts-Yoder. "When I first heard the news that my lease was ending I spoke with Jesse Anderson, a close friend of mine. He said, "Don't worry, Letty. The Lemonade Stand always pops back up." In the meantime, Nowak will be focusing on making a lot of new paintings in her California Studio when not in Key West. Letty and gallery manager, Caroline Stover-Sickmen will also be scouting out spaces to do the Small Works Exhibit for 2017. Any suggestions for this 6 week show are gladly accepted. Please come on Saturday night and help us celebrate our time in this space. The Lemonade Stand at 318 Petronia will close at the end of February. A special television segment about Letty Nowak's paintings and Key West will air on the Boston's the Chronicle at 7:30 tonight. You may view the episode at http://www.wcvb.com/nowcast if you want to watch it live, or on http://www.wcvb.com/chronicle to watch in the days following the airing. "I've been working between my Key West and La Jolla, California studios getting ready for exhibits in 2017 and 2018. 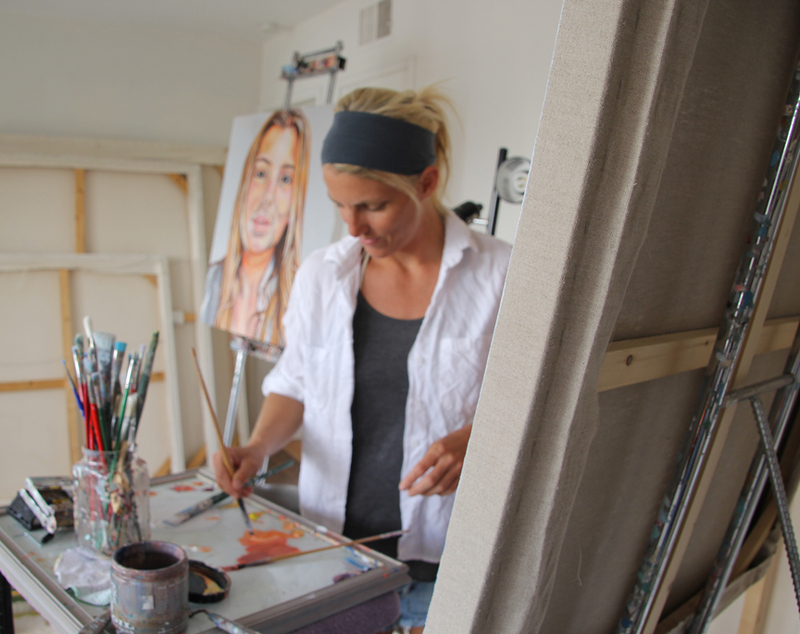 Portraits are making up the majority of my work, although there has been some new small, different pieces that have come out in between the larger work." For more info about Letty's work or the Lemonade Stand Gallery, contact: caroline@lettynowak.com. Aloha to Rabbit Kekai who passed away yesterday. This past December 15th I flew the painting I made of him to Hawaii to show it to him and have him sign it. He was adamant that his full signature have his name - plus, "The Legend" and that, Rabbit, you will always be. Thank you for all of your contributions to the surfing world. I was fortunate to meet Mrs. Golden of Golden Paints and Williamsburg Oils at Vincent Pomilio's Opening Reception I gave at the Lemonade Stand Gallery. She and I spoke extensively about my work and when I got back to my studio, my full palette in Williamsburg Oils were packaged beautifully at my doorstep. A few weeks later they let me pick another sampling of colors outside of my consistent palette to try. In all of my years painting, Williamsburg Oils was a product I had never invested in. I was aware of the company, but I had my brands I had studied, tested, and worked with for years. Now with this generous gift from Williamsburg Paints, I made the plan to make a painting using only Williamsburg from start to finish. I want to truly feel what the product has to offer. This week I started that painting and will be giving updates on my experience throughout the process. 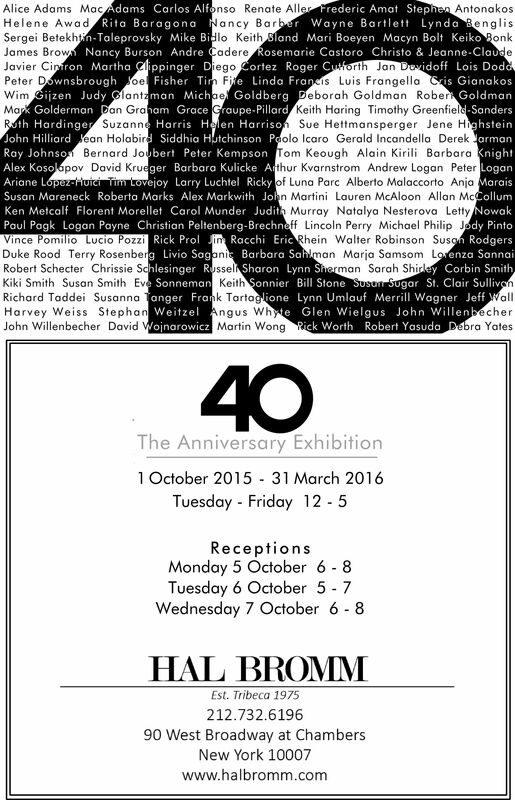 This week in NYC, Hal Bromm is hosting the Opening Receptions for his 40th Anniversary exhibit where 130 artists have been invited to exhibit at his 90 West Broadway location. 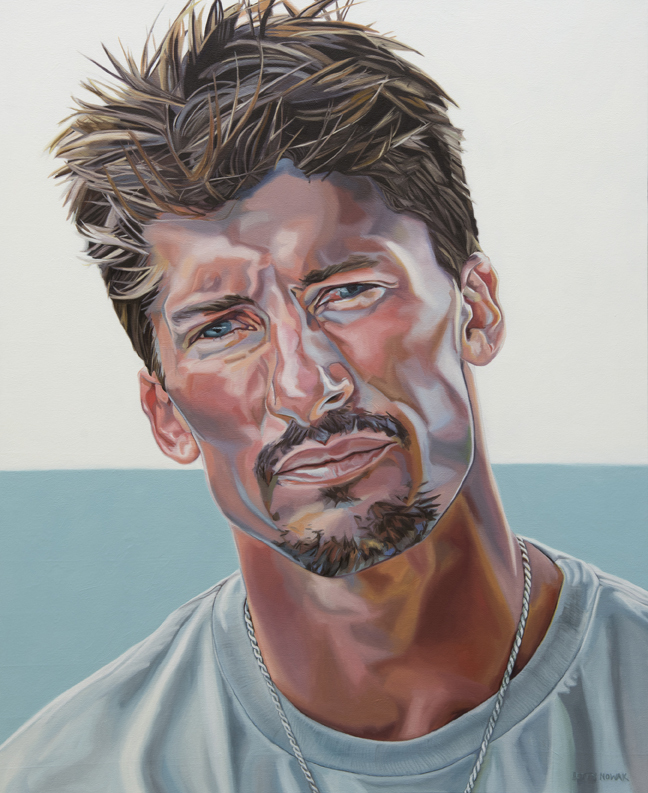 Nowak's piece selected and on display is, 'Drew Kampion.' Exhibit is on display through March 31st, 2016. Huntington Beach welcomes the Newly Redesigned and Expanded Toes on the Nose Adventure Hyatt. 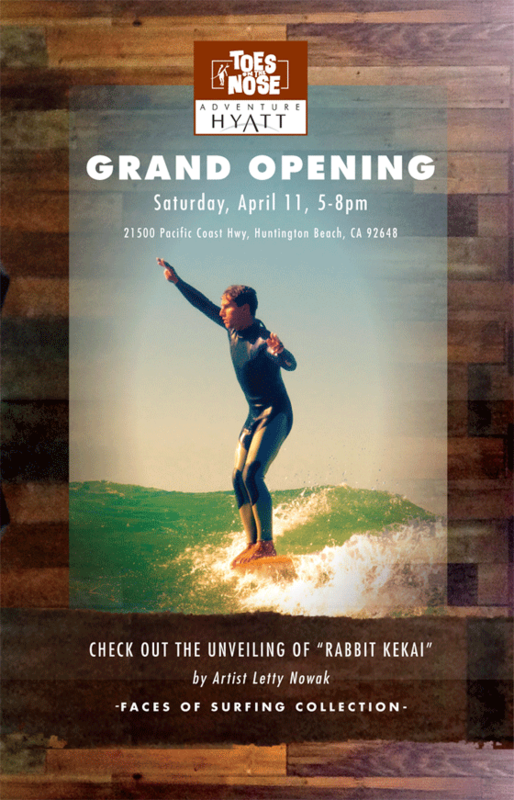 Huntington Beach Calif., (April 2015) - Featuring 3000 sq feet of art, retail, and adventure packages, classic surf brand Toes on the Nose is celebrating its newly expanded space at the Hyatt Regency Huntington Beach Resort & Spa on Saturday April 11th from 5 - 8 pm with a Grand Opening Reception that is open to the public. Nowak, the unparalleled artist who lives and works in Southern California, will not only be exhibiting some of her famed “Faces of Surfing” oil paintings at Saturday's reception, but she will also be unveiling her latest work, an oil on linen painting of iconic Hawaiian surf legend, Rabbit Kekai who rode his first wave in 1925 and was mentored by world famous Duke Kahanamoku. “I’ve been following Letty’s work for a few years now and couldn’t think of a better artist to open our new store with,” says Toes owner, Richard Allred. 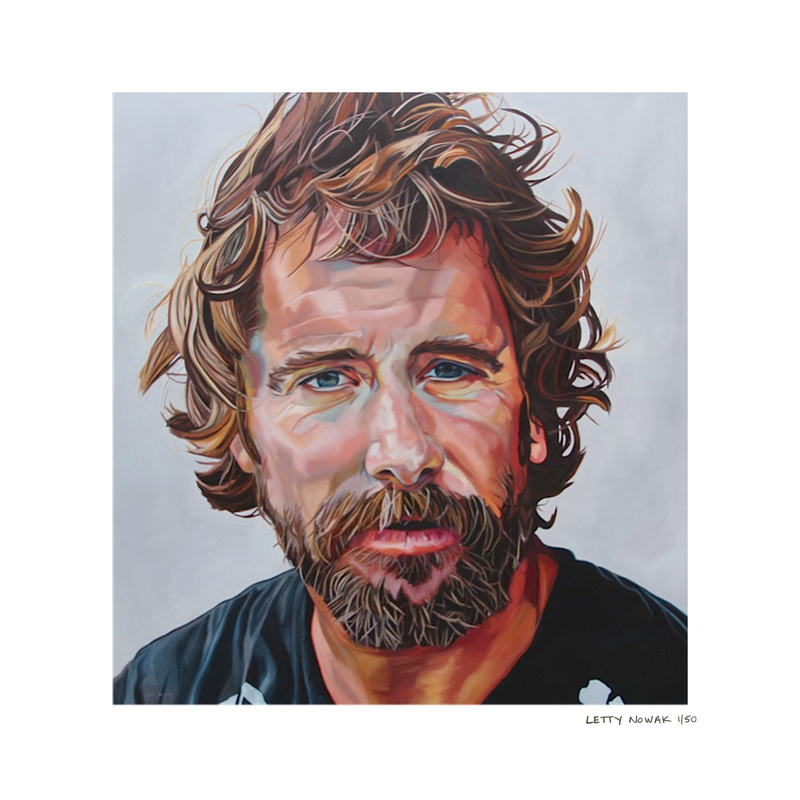 “After some discussion, Letty and I decided that with all of Rabbit’s contributions to the world of surfing, plus him being a Toes on the Nose team rider for 16 years, it would be an honor to have his painting first viewed at our Opening Party. This also allows us to showcase our new gallery inside our shop. The store before us was an art gallery and we decided that it was essential to keep art an integral part of this space. We have dedicated almost a quarter of the shop for this gallery,” Allred adds. The newly designed concept store embraces the iconic Toes on the Nose vibe featuring the fusion of authentic, organic and classic elegance with the purpose of maximizing the Hyatt guest experience of the California lifestyle. Through this expansive new space Toes on the Nose offers not only an art gallery, but surf lessons, yoga classes, surfboards and bike rentals. There is also a VIP meeting “boardroom” featuring wide screen TVs displaying their Corporate Party and Special Event Adventure Packages. Their guests will also have the ablity to take a video home of their activities via their newly created Go Pro center. Featured in Channel 5 News in Boston. 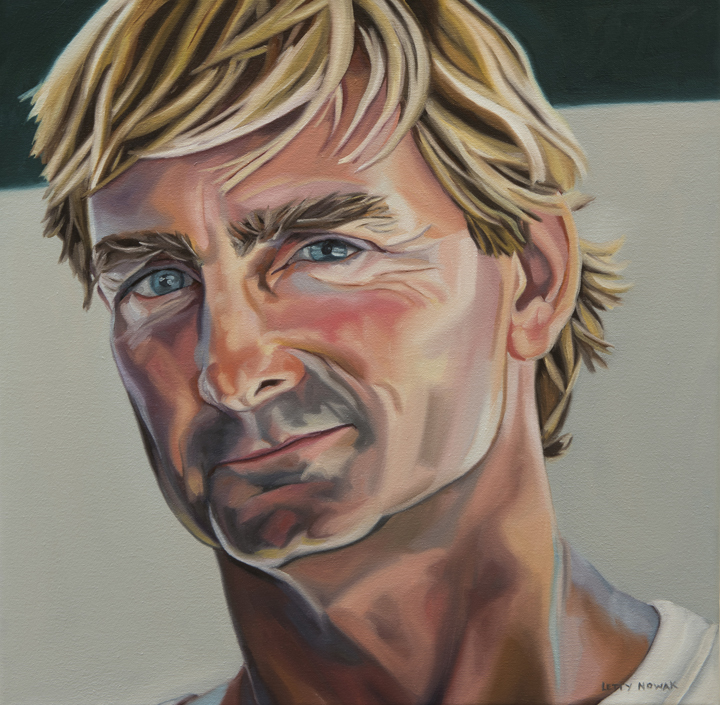 Today is the release of the first Faces of Surfing II print of Donavon Frankenreiter. Nowak traveled to Hawaii to photograph the musician and surfer at his mountain side home in Kauai. "It was early morning when I met up with Donavon. My goal was to capture him in the Kauai light of his own home in this relaxed setting with his family. He was wearing an 'A.I. Would Scrap' t-shirt which I found relevant as we were on Andy Irons home island and Andy's presence was everywhere. I made sure to keep part of the shirt in the painting because of this," says Nowak. 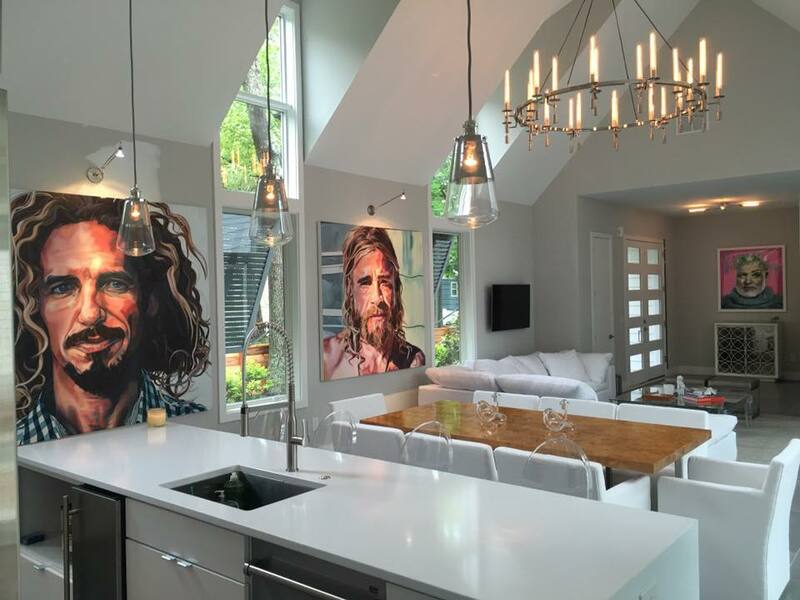 "This trip to meet up with Donavon in such a personal setting helped to give the finished painting of Donavon the layers and feeling it has." This is the fourth year Nowak has been invited to SIMA's Waterman's Ball. The first year she went as a guest. The second and third, a commissioned painting of hers was one of the 11 items in the live auction during the awards ceremony and dinner. The past two years, these Nowak painting commissions raised a combined $25,000 towards SIMA's chosen environmental funds. "It is important for me to give back to the surf industry as their support for me and the Faces of Surfing has been immeasurable." 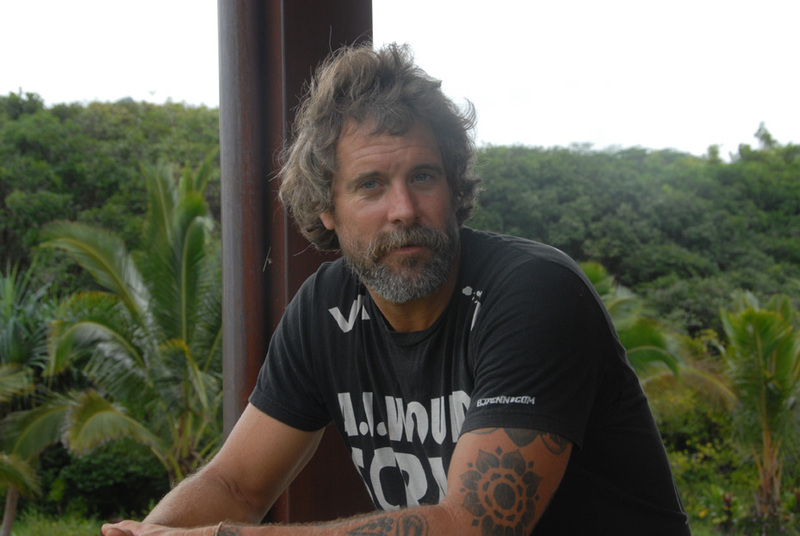 Nowak continues, "I can't thank the surf industry and my collectors enough." 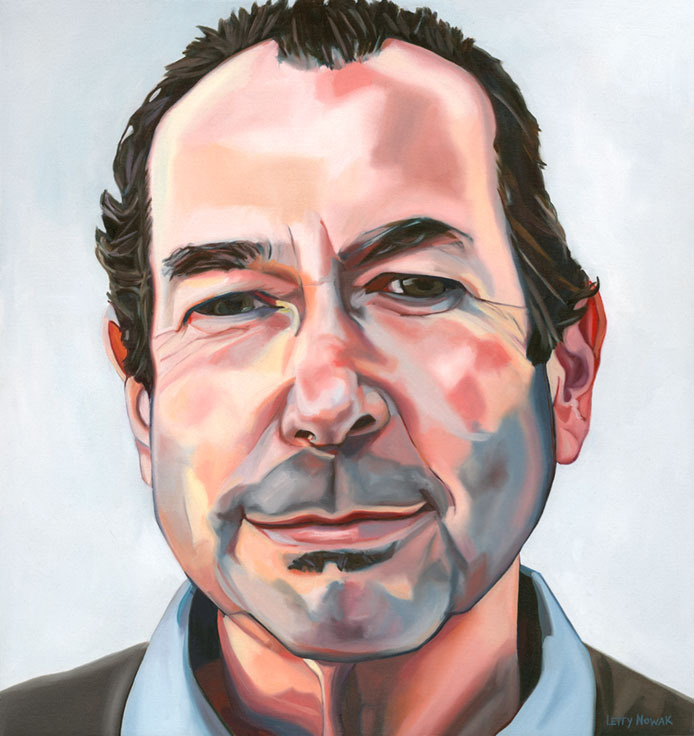 On exhibit during this year's cocktail reception will be Nowak's oil on canvases of Fernando Aguerre, the 2013 Waterman of the Year and George Downing, who received Sima's 2011 Lifetime Achievement Award. The Waterman's Ball is Saturday, August 9th at 5 pm at the Ritz Carlton in Laguna Niguel, California.